Render Technology Solutions deal with all kinds of Sensy Products. According to the EN 9100 quality standards, SENSY has been qualified by the QUALIFAS / ASD-EASE organization in order to meet the requirements of the aerospace industry and to ensure the highest quality to customers. Are you looking to develop an industrial application where you will need ‘force transducers’? A wide range of such transducers can easily be integrated into your project, especially if your device is operating under tension and/or compression forces. 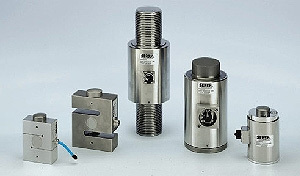 You are almost certain to find the force transducer you require on our website. 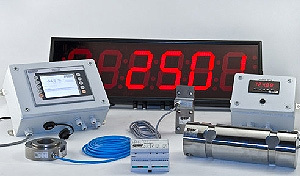 Do you need any further information regarding the properties and use of our load cells, such as their natural frequency, accuracy or their use in radioactive environments? If the solution to your problem is not available on our website, do not hesitate to contact our team of sales engineers directly. Do you want to develop ‘legal for trade’ weighing applications? 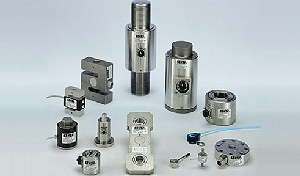 Our load cells can meet your demands and are certified according to international regulations (OIML-R60 and EN45500). Do you need a solution for an industrial process? 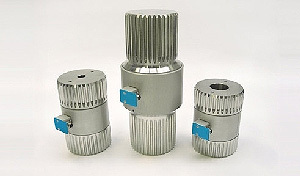 Our load cells are designed for use under severe and hostile environmental conditions. We can offer you a broad range of products, many of which are already in stock – just send us an email request for a particular load cell and we will inform you of its delivery status. Whatever the environment – marine, aggressive or explosive (ATEX gas and dust) conditions – we have a solution just for you. If you want to calibrate any type of testing machine, either for quality purposes or to obtain an official calibration certificate, then choose a standard reference transducer. There are two methods which can be used to measure a force with accuracy: ‘dead-weight machines’ or testing machines equipped with a transfer force transducer. The first solution is quite expensive and difficult to operate. The second one is cost-effective and increases your flexibility. Our standard reference transducers comply with ISO376 (EN 10002-3) accuracy classes “05” and “00” (eventually class “1”) regulations. With 25 years of experience in the field, SENSY is one of the most tried-and-tested companies in the business of load limitation for hoisting devices. This is why we can offer one of the largest product ranges on the market, including strain-gauge technology load cells and load pins, electronic load limiters and displays, as well as torque shackles and wedge sockets. 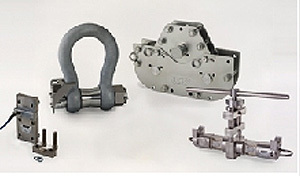 We have also developed a range of load cells and electronic load limiters especially for low-capacity hoisting equipment. Tensiometers Responding to specific projects is just one of our strengths. Are you looking for a unique solution that is not readily available on the market? 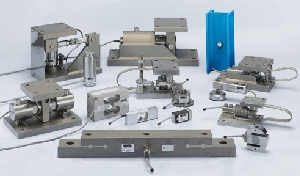 We can help you to solve your problem either with one of the special load cells already in production or by developing a custom-made product. Our design team will assist you with every step of your project, from the very beginning to the very end. Designing and developing new solutions is our speciality – it is all part of our company's culture.